Will travel for food. In fact, will travel long distances and into seemingly dangerous places for food as well (such as walking the length of the TL in San Francisco). That is how I roll. Good eats over personal safety. However, one thing I seem to overlook are restaurants that reside close by. Maybe I take it for granted or possibly they just don't seem all that interesting. Heck, I even make the trek out to Richmond over restaurants located a few blocks from where we live. Yah, that's right, I really do put food ahead of my own well-being (in this case, it would be my car's health). 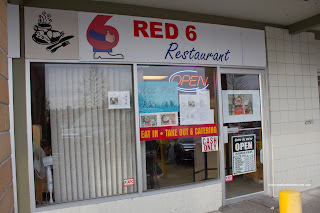 So to keep it local and preferably inexpensive, we descended on Red 6 Restaurant. Okay, the place is nothing much to look at from the outside. And it doesn't get much better on the inside. This is a prototypical family-run joint that keeps things simple. How simple? The whole menu consists of single serving build-it-yourself hot pots. Granted, it is a hot pot, but it is not a hot pot with chaffing device though. With the kiddies around, it meant only one thing - Chicken Udon. Yup, a go-to item of sorts, especially in a Japanese restaurant. Of course, this being not a Japanese restaurant, it was a bit different. The udon sat in a homemade chicken soup which was actually quite flavourful. I'm pretty sure there was MSG in there, but it was tasty nonetheless. For myself, I had the Curry Beef with a side of noodles. This was also very flavourful and we were certain that MSG helped in that regard. There was plenty of beef mixed in with enoki mushrooms, tofu puffs and napa cabbage. The beef was not exactly chewy, but had a "rough" texture to it. The noodles were pretty good being chewy and thick. We also had the Seafood Hot Pot in a hot chili broth. Although the seafood was limited to mostly crab stick and fish balls, there was no denying the massive amount of food for one person (there was some shrimp and mussels too). The broth was not really all that spicy, yet there was a decent amount of seasoning though. 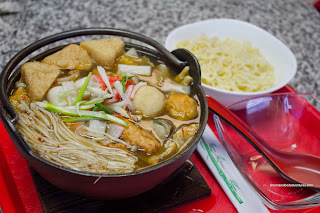 Lastly, we had the Dumpling Hot Pot in a Thai broth. First off, there was nothing really Thai about the broth other than the red chili peppers. I'm sure they wanted to emulate a Tom Yum soup, but it was not even close. No problem though since that would be an unreasonable expectation for a joint like this. 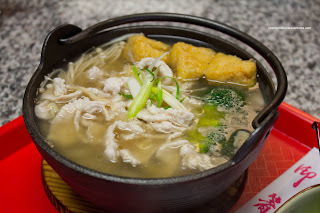 I found the broth to be rather one dimensional in flavour being tart with only slight spice. 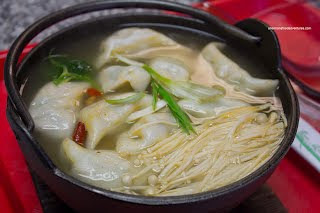 The large dumplings were not bad consisting mostly of chives and pork. 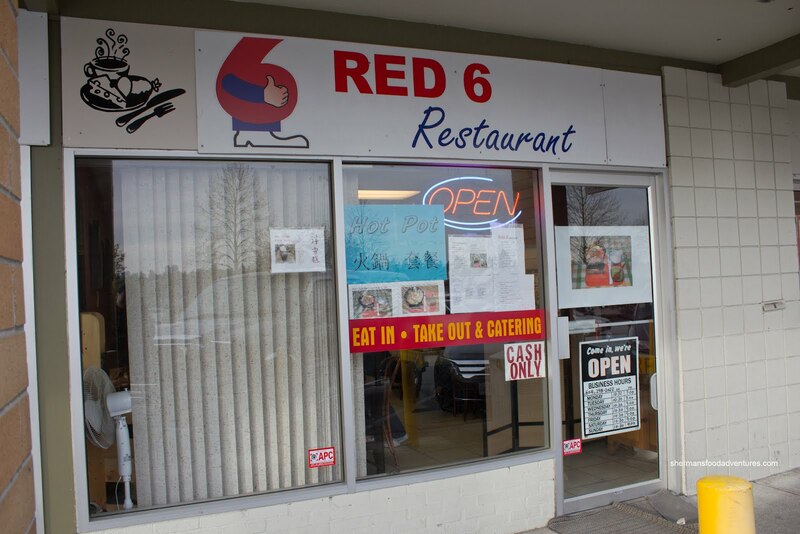 Food aside, the one thing that Red 6 does well is offer decent value. For as low as $6.99, someone could leave full with little damage to their wallet. On the other hand, the food is not complex and could be easily replicated at home. It really depends on one's expectations. Personally, I thought it was an okay place to grab a quick cheap meal. I tried the kimchi soup and was really disappointed with the almost bland taste. I agree it's a good value, as the portions are hearty, but don't go expecting any complex flavours. The MSG really makes me nervous though, as I prefer my soups without it. I also ordered some take out food and it was really subpar. I think it was either chow mein or a rice dish. 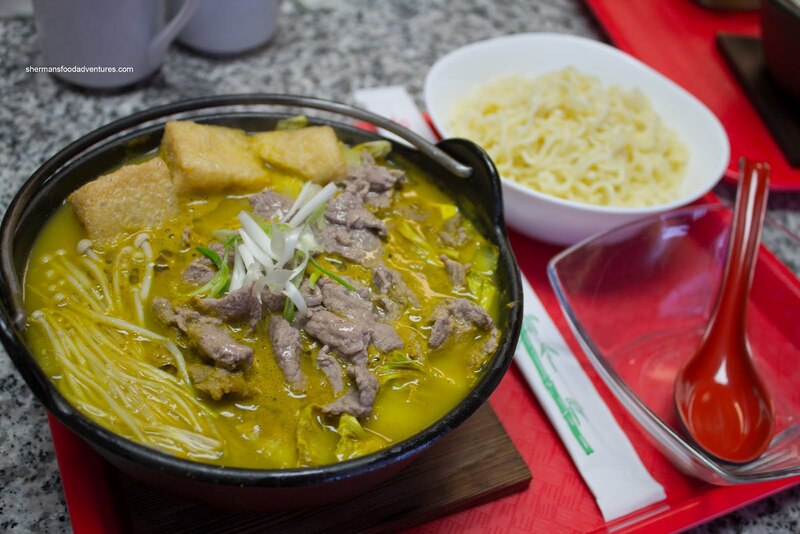 I've heard Deer Garden's (Richmond) soup bases are tasty, but I've yet to try it. Next time, try the egg tart next door. It's decent and gives New Town Bakery some competition.